Previous studies showed that interleukin (IL)-28B gene polymorphisms were associated with hepatitis C Virus (HCV) infection and treatment outcomes. We tested whether single-nucleotide polymorphisms (SNPs) in IL-28A and IL-28B are associated with HCV infection among Egyptians with HCV genotype 4 infections. We enrolled 144 chronic HCV patients, 72 spontaneously resolved HCV subjects, and 69 healthy controls. Four SNPs in IL-28A and IL-28B genes (IL-28A.rs12980602, IL-28B.rs12979860, IL-28B.rs8099917, and IL-28B.rs8103142) were genotyped. The most frequent IL-28B haplotype “TCT” was significantly more frequent in HCV-infected subjects than in HCV negative subjects (62.2% vs. 48.6%, respectively; p = 0.005). The frequency of IL-28A.rs12980602 “T” allele was significantly higher than the “C” allele in healthy controls compared to HCV-infected subjects (p < 0.001) with the “TT” genotype significantly higher in healthy controls compared to HCV-infected subjects (p < 0.001) with no association with viral load (p = 0.11) among chronically infected subjects. The results, also, confirmed the previous role of IL-28B SNPs in predicting HCV infection outcome. Importantly, IL-28B.rs8099917 “TT” genotype was significantly associated with low viral load in HCV-infected subjects, while the remaining three SNPs did not. The three IL-28B SNPs were in linkage disequilibrium (D′ > 0.68; r2 > 0.43) for all comparisons in HCV patients, while there was no linkage disequilibrium of IL-28A polymorphisms and the three IL-28B SNPs. In conclusion, IL-28A.rs12980602 and IL-28B.rs8103142 TT genotype could be protective against HCV infection. Also, IL-28B.rs12979860, IL-28B.rs8099917, and IL-28B.rs8103142 SNPs predicted the outcome of HCV infection among genotype-4-infected Egyptians. Moreover, IL-28B.rs8099917 SNP affected the viral load in chronic HCV patients. We would like to thank Dr. Nabiel Mikhail and Enas S. Aziz (Egyblood) for their technical help with the data. We thank Mrs. Hoayda M. Ahmed and Dr. Mohamed Abdel-Samee (from the NLI) for their assistance with sample collection and enrollment of the subjects. We particularly appreciate Dr. Gehan Galal (Director of Egyblood R&D Department), Dr. Nelly Sedky, and Dr. Hala Hussein (previous Egyblood CEOs,) for their support throughout the conduct of the study. This study was supported by the European Union 6th Framework Program contract no. 0374435 to the HEPACIVAC consortium and by the European Union 7th Framework Program contract no. 260844 to the HEPACUTE consortium. All procedures performed in studies involving human participants were in accordance with the ethical standards of the institutional and/or national research committees and with the 1964 Helsinki declaration and its later amendments or comparable ethical standards. The study protocol was approved by the NLI Institutional Review Board. Informed consent was obtained from all participants included in the study. About F, Oudot-Mellakh T, Niay J, Rabiéga P, Pedergnana V, Duffy D. Impact of IL28B, APOH and ITPA polymorphisms on efficacy and safety of TVRor BOC-based triple therapy in treatment-experienced HCV-1 patients with compensated cirrhosis from the ANRS CO20-CUPIC study. PLoS One. 2015;10. https://doi.org/10.1371/journal.pone.0145105. Barreiro P, Vispo E, Poveda E, Fernández-Montero JV, Soriano V. Hepatitis C therapy: highlights from the 2012 annual meeting of the European Association for the Study of the liver. Clin Infect Dis. 2013;56. https://doi.org/10.1093/cid/cis915. Calisti G, Tavares A, Macartney MJ, McCormick A, Labbett W, Jacobs M. IL28B genotype predicts response to chronic hepatitis C triple therapy with telaprevir or boceprevir in treatment naïve and treatment-experienced patients other than prior partial- and null-responders. 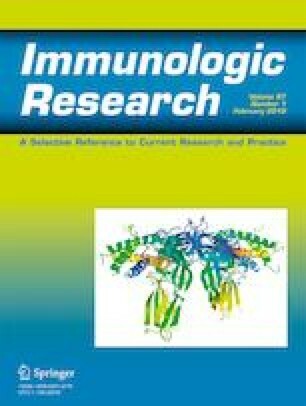 Spring 2015;4. doi: https://doi.org/10.1186/s40064-015-1137-x.